In our everyday lives, friends are the people whom we spend the most time with, go through struggles with at times, and who know us best. Each of Jesus' friends-Peter, John, Matthew, Judas, Mary Magdalene, and Lazarus-travelled with Jesus and were part of His daily ministry, and each has a compelling story to tell. There were some who would question or doubt Him...and one would even betray Him. Kingsbury brings these fascinating personalities to life in ways that will not only help bring you closer to the truths found in Scripture, but also to Christ. By combining valuable, instructive Bible study with compelling, insightful character sketches of Jesus' companions, Kingsbury provides you with a deeper understanding of the scriptural teachings featuring these fascinating people. Emotionally powerful, thought-provoking, and soulful, The Friends of Jesus will help you to appreciate the Bible and understand how it applies to your relationships with the most important people in your life. 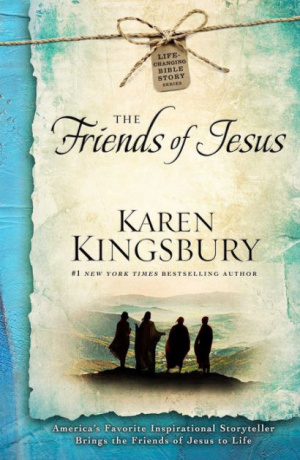 The Friends of Jesus by Karen Kingsbury was published by Simon & Schuster in July 2015 and is our 17758th best seller. The ISBN for The Friends of Jesus is 9781476707396.